Nigeria’s extremist Islamist group Boko Haram are believed to be actively recruiting fighters across the border in Cameroon’s Far North Region, according to residents and local government officials. More than 100 suspected Boko Haram fighters and preachers (the latter presumed to have links with the group), have been arrested in Far North Region since 2012, but many have been released due to lack of evidence, according to a local security official. “There are many Muslim brothers coming from Nigeria with the aim of preaching to the youths. The government has warned against this practice, but they still reach out to the young people because they make them promises and give them money,” said Ibrahim Haman, an Islamic preacher and elder in Mora District in the Far North. Residents of Mayo-Sava area in Far North Region say that unidentified preachers are secretly reaching out to youths in their locality. Haman pointed out that some youths have managed to escape the sect after being recruited, but many others have not returned. “Boko Haram is considered here as just another religious group, and it is not difficult to be a member if you want to. Young people from here have been induced into joining Boko Haram,” he said. Seventeen-year-old Mustapha* recounted to IRIN how he was brought back home to Cameroon blindfolded after failing to cope with the insurgents’ military training. He had been taken to Nigeria by a preacher. “I was the youngest among eight other boys who told me they came from the towns of Banki, Kolofata and Ngeshawa [in Cameroon] and Maiduguri [in Nigeria]. Before I was taken, they told my father that I would come back rich and a great Muslim, so he allowed me to go. We were reading the Koran and they would preach to us about fighting for the Muslim faith,” said Mustapha. “I went for my second military training in the mountains, but suffered many injuries and I was bedridden for one month,” he said, explaining that he was brought back as his injuries ruled him unfit for combat. A government official in Mora District, however, said that it is difficult to ascertain that Boko Haram is recruiting from Cameroonian border villages. There are similar ethnic communities in Cameroon’s Far North and northeastern Nigeria who have family on either side of the border, speak the same language and share a common culture, making undetected cross-border movement easy. “We don’t really have enough evidence to say clearly that Boko Haram recruits Cameroonians, but what is clear is that those fighting with them are from the border regions and can claim the nationality of either country whenever it suits them,” said the official on condition of anonymity. 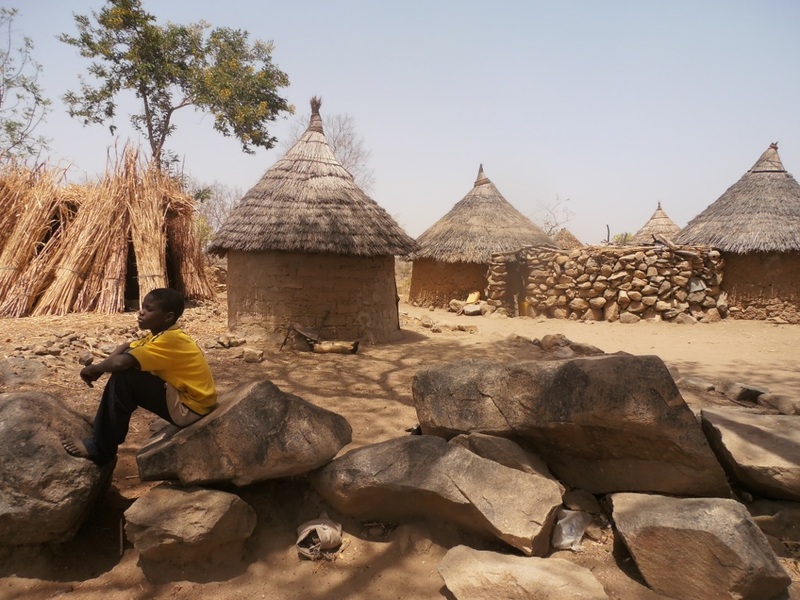 The threat of Boko Haram is widespread in Cameroonian villages bordering northeastern Nigeria. A Nigerian military offensive launched in May 2013 pushed back the Islamists from major towns in the country’s northeast to remote areas. But attacks by the insurgents have since become more deadly and frequent. There are suspicions that Boko Haram is also recruiting from neighbouring Niger. Some observers have also linked the group with Islamist insurgents who seized Mali’s north after the March 2012 overthrow of the government in Bamako. Insecurity in Cameroon’s Far North Region caused by Boko Haram has crippled trade between the region and northeastern Nigeria. Yaoundé authorities have bolstered security, but infiltration and kidnappings by gunmen suspected to be linked to the radical Islamists have not stopped. In the third kidnapping of foreigners here since early 2013, suspected Boko Haram fighters earlier this month seized two Italian priests and a Canadian nun. “Boko Haram had sent a letter to villages with warnings that all beer parlours should stop the sale of alcohol in Mora, Banki and other localities along the border. We can’t identify them but we just know that they are among us or have informants here,” said Mercel Kenfor, a trader in Mora. “We strongly believe that Boko Haram has elements in Cameroon and the authorities are doing everything possible to track them down. The manoeuvres they make in Cameroon territory is evidence that these groups have a good mastery of the terrain and the armed men could include local Cameroonians and those from neighbouring countries,” said Emmanuel Bob-Iga, head of the police division at the Far North governor’s office. Military commander Beaufils Mana said Boko Haram incursions are being abetted by some local residents. Jusqu’à 130 000 personnes ont fui la République centrafricaine (RCA) pour se réfugier au Cameroun.